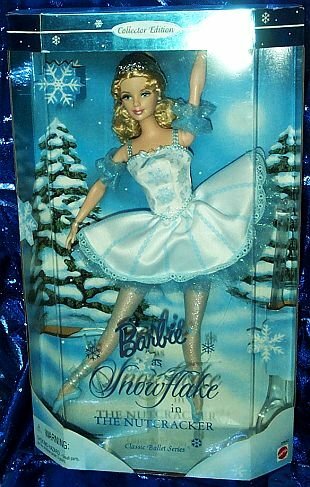 Snowflake Barbie stared at Elsi from the crowded aisle of Wal-mart, her sparkly blue eyes casting a spell. Elsi wanted to rip her out of the package and hold her, combing her snow white hair. Not only did she have a wand shaped like a falling star, her gown glowed like a shiny new Christmas ornament. Elsi whipped her head around. A Wal-Mart employee wearing a Santa hat, not much older than her sister, stuck roll back labels on wads of tissue paper. Elsi stood in silence, digesting the new information. If the naughty elves were changing her wishes, how could she tell Santa what she really wanted? Her mom said they didn't have enough money to sit on his lap this year, so how was she going to let him know? Three of the packages of barbies suddenly fell crashing to the floor. Elsi put her hand over her mouth. Would she get in trouble? She hadn't even touched it and now look at the mess on the floor. Looking around, Elsi didn't see anyone else in the aisle. Maybe if she left now she wouldn't be caught. But Elsi didn't move. What if it was the naughty elves spying on her? What if they saw her spinning like Snowflake Barbie? An idea sparked in her mind, as if Snowflake Barbie touched her head with her star wand. Scuttling sounds came from behind the barbie boxes. Elsi jumped. Her mom stood behind her, looking at the strewn boxes with a narrow eye. Christmas morning came faster than Elsi thought it would. She woke up just as the sun came through her blinds and ran downstairs to see what lay underneath the tree. Part of her was afraid the story about the naughty elves wasn't true, and part of her was afraid it was. Presents, all wrapped in blue reindeer paper sprawled out across the living room floor. Elsi dug through them, throwing each one over her shoulder. Then she saw them; giant orange buckets resting under the tree. Elsi gasped. Had she said the wrong thing in Wal-Mart? Had she confused Santa Claus? She bit back a sob and pulled out the tag. Phew! Her sister was giving them to her dad. But where was her present? Elsi twirled around, bathrobe catching on the picky tree. Her slipper stepped on a plastic package. She bent down and flipped up the tag. The size was right. She held it up; so was the weight. Elsi ripped open a piece of the paper with trembling fingers and caught a glimpse of two sparkly blue eyes. Cute! Love it. And yay for 100th post. Oh, lovely story. So glad the orange buckets weren't for her.